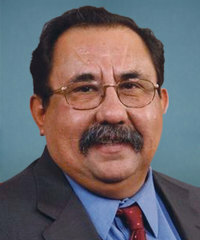 Raúl Grijalva has served in the US House of Representatives since 2003. He currently represents Arizona’s 3rd congressional district, and chairs the House Natural Resources Committee. Grijalva supports permanent reauthorization of the Land and Water Conservation Fund and efforts to regulate methane emissions. He has criticized efforts to modify the sage groups conservation plan, as well as the Trump Administration’s rollback of national monuments. Rep. Grijalva criticized the rolling back of national monuments. Grijalva supports the Land and Water Conservation Fund (LWCF). Grijalva supports a sage grouse management conservation plan. Grijalva supports the regulation of methane. Grijalva criticized “amateurish” efforts to cancel methane standards. In an op-ed, he wrote about the “industry figures” who protested so that the Trump administration could let them “off the hook.” (Grijalva Op-Ed, The Hill, 03/14/18].